I’m showing my work at The Lichtenstein Center in Pittsfield, MA, October 12-November 17, along with two colleagues, Carol Beth Icard and Anna Rowinski. My part of the show is an installation, The Artist’s Way, Reiterated, a series of erasures and re-drawings of pages from the book, The Artist’s Way, by Julia Cameron with Mark Bryan. 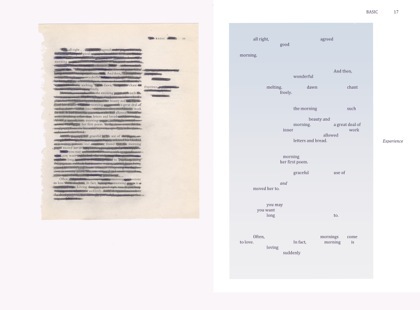 The redacting of the original text resulted in the appearance of poems that were hidden within the prose.